Who is this Bowen Therapy Class? 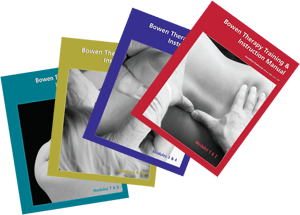 This Modules 1-2 Bowen Therapy Class consists of detailed presentation and hands on demonstration of the materials contained within the Manuals 1-2 of Bowen Therapy. The students will have supervised practice of the procedures taught. The goal of the class is to provide the essential procedures of Bowen Therapy that form the prerequisite of all Bowen Therapy treatments. This class will equip the student to utilize the therapy immediately following the class. To practice in their own clinic or for personal use with family, friends and those in need. The class covers material for those students wanting to become a Certified Bowen Therapist™ (CBT™). There are no prerequisites to attend this class, it is open for everyone! This three day class is the first two of eight available modules of training in Bowen Therapy. Whether you’re a practitioner such as a chiropractor, naturopathic doctor, massage therapist, etc., or a newcomer to healthcare, Bowen therapy provides many simple tools that are shown to work for chronic pain, inflammation and misalignment. It is a hands-on bodywork technique that is both simple and effective. Developed in the 1970’s by Tom Bowen in Australia, Bowen Therapy is still fairly new to the world. This class provides the majority of work useful to treat the following conditions and students will be able to use the therapy immediately following this class. Pain is the number one reason patients will seek the services of alternative healthcare providers and your success in treating pain will be the main driver for the majority of referrals to your practice. Bowen therapy is unique as a healthcare modality because of its efficiency in the treatment of pain. Bowen Therapy has to be one of the most exciting modalities available. The range of conditions it treats and the ease of both applying it and receiving the therapy make it truly exceptional. The class will be taught by Jonathan Damonte an accomplished teacher of Bowen Therapy and who is endorsed by the family of the developer. The class will cover the therapies needed to treat conditions such as Lower Back pain, Lumbar herniation, Sciatica, Frozen Shoulder, Hip and Sacral Iliac pain and misalignment, Knee injury, Arthritis and Migraine. There are many unique aspects to the class I want to share with you such as, Bowen Therapy is performed on clients whilst they are wearing clothes. Thus making it comfortable and accessible to those in pain and if self conscious, this is true during the classes as well where we can learn to do the therapy wearing comfy sportswear. In practice more than one client at a time can be worked on and the therapy is easy to perform and is easy on the therapist and their hands especially. It can be used as a full body treatment or a partial session focussing on the chief complaints relating to the underlying condition. 1 years subscription (value $225). Access will be provided after payment and the year begins once you register at a time of your choosing. Bring a friend and save$50 each, see below. Bowen Therapy Manuals are included. Select your booking type, complete your details and click 'Register & Pay' to complete. Modules 1-2, Los Angeles. Bring a friend or colleague.